Dia Art Foundation, founded in 1974, is committed to initiating, supporting, presenting, and preserving extraordinary art projects. 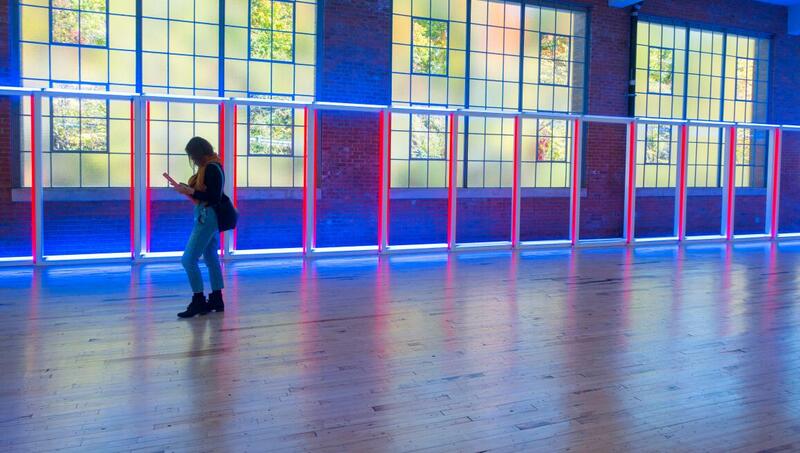 Dia:Beacon opened in May 2003 in Beacon, New York. Dia also maintains several long-term, site-specific projects including Walter De Maria's The New York Earth Room (1977) and The Broken Kilometer (1979), Max Neuhaus's Times Square (1977), Joseph Beuys's 7000 Eichen (7000 Oaks) (1988), and Dan Flavin's untitled (1996), all in Manhattan; the Dan Flavin Art Institute in Bridgehampton, New York; De Maria's The Vertical Earth Kilometer(1977) in Kassel, Germany; Robert Smithson's Spiral Jetty (1970) in the Great Salt Lake, Utah; and De Maria's The Lightning Field (1977) in Quemado, New Mexico. Dia presents temporary installations, performances, lectures, and readings on West 22nd Street in New York City.